Monday night, the Yankees dropped their series opener against the Rays (TB 7, NYY 6) largely because staff ace Luis Severino was lit up for seven runs and 11 hits in only five innings. The loss combined with the Red Sox's win over the Orioles (BOS 5, BAL 3) pushed the Yankees to six games back in the AL East. The Yankees loaded the bases in the ninth and very nearly tied the game, though the game ended when catcher Gary Sanchez flat out did not hustle on the final play of the game. The bases were loaded, Sanchez hit a ground ball into the shift, and runner Aaron Hicks beat out the force play at second base. The Rays still had time to throw to first to get Sanchez because he didn't run hard. Sanchez didn't really bust it out of the box, and it looks like he broke it down further once he thought the Rays would get the force out at second to end the game. Once he started to pick up the pace, it was far too late. If Sanchez hustles and gets thrown out anyway because he's a slow catcher, so be it. But the complete lack of hustle there is inexcusable. Cross-ups happen -- after the game Severino said the cross-up was on him because he misread the signs -- but that's another inexcusable effort by Sanchez. That's a very basic the-runner-is-going-to-third-and-I-need-to-retrieve-the-ball-quickly-to-make-sure-he-doesn't-go-home play, and he lollygagged it. "He's got to find his gait quickly and he should be able to do that now," said Boone, who also made that "gait'' comment last week after a similar jog. Of having a talk with Sanchez, Boone said: "We always address our players. I want him running at that smooth clip. Part of that is getting out of the box." It should be noted Monday was Sanchez's second game back from the disabled list. 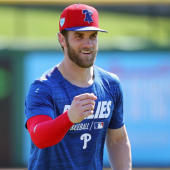 He missed about three weeks with a groin strain that, ironically, he suffered running hard to first base in an effort to beat out a double play ball against the Rays in Tropicana Field last month. And, for what it's worth, it's possible Sanchez reaggravated his groin injury Monday night. Sanchez and Boone both said he is fully recovered from the groin injury following the game, though this wouldn't be the first time a player and his manager claimed he's healthy when he's really not. Players play hurt all the time. If Sanchez did reaggravate the groin injury in the first inning, he stayed in the game to catch another eight innings and ran the bases on several occasions, so it couldn't have been that bad. Plus he did seem to find an extra gear on the final play of the game once he realized the force out was not recorded at second base.. In his first at-bat of his first game back Friday, Sanchez jogged out a routine ground ball that was inconsequential to the outcome of the game. In a perfect world every player would run out every ground ball like it's the final out of the World Series. In the real world that doesn't happen, and I'm cool with a player just back from a groin injury not running full speed on a routine grounder he wouldn't beat out anyway. What happened Monday was different, however. The cross-up and the final out of the game were two plays that demanded urgency and received none from Sanchez, and they cost the Yankees big. He allowed a runner to score from second on the cross-up and didn't run hard on the final play of the game -- final play of the game! -- which happened to come down a run with a bases loaded. It's inexcusable. It really is. It's unclear whether Boone and the Yankees will discipline Sanchez. They can't send him to the minors because he's out of minor-league options and would have to pass through waivers to go to Triple-A, and there's zero chance of that happening. Players can't be fined for a lack of hustle. The Yankees could always bench Sanchez, though how effective is that? Either way, the Yankees are a team in a division race and they battled to get back into Monday night's game -- they twice came back from down three runs to make it a game, and Sanchez did have an RBI single -- and then Sanchez goes out and doesn't hustle on two costly plays. It's something Boone and the Yankees have to address.